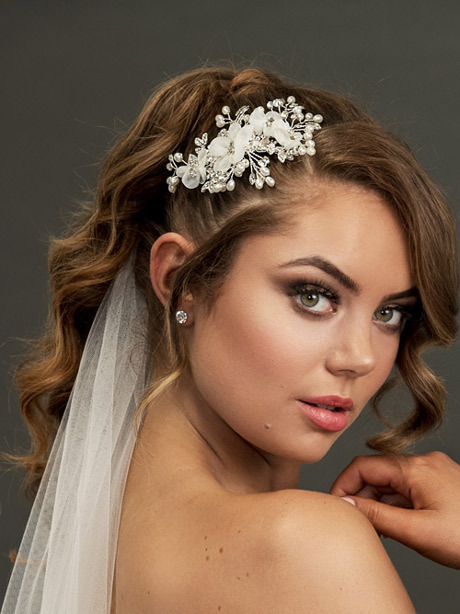 Another member of the Eden jewellery family, its pretty and shiny crystals will work so nicely with your wedding hairstyle. 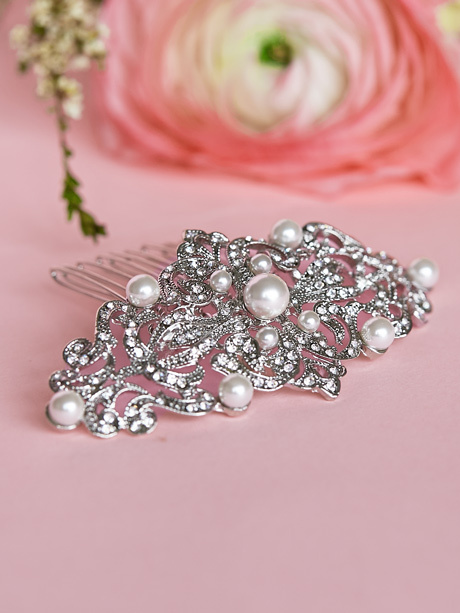 This silver wedding hair comb is a perfect match for your wedding day style. With a sparkling combination of diamonds and pearls mixed together in just the right way. Pair with the Eden earrings . They are a very subtle mix of pearls and diamonties in the same pattern as the Eden necklace . 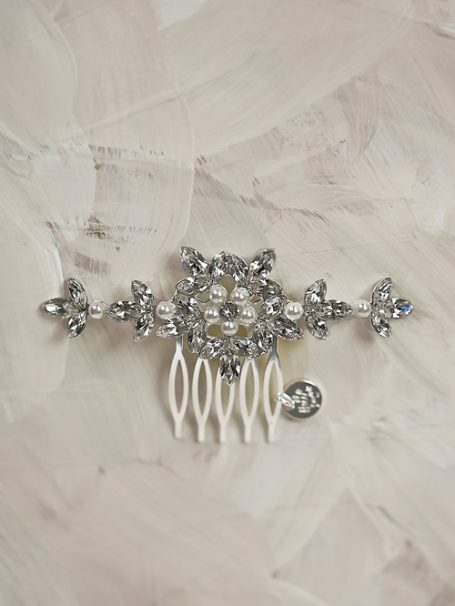 Or maybe mix and match the Eden wedding bracelet with the hair comb either way you will be on your way in style. Flower like pattern that goes extra wide and is just the right size to cover a veil end. The decorative pieces are movable so it will sit right where you want it. This Hello Lovers hair piece come in a silk pink hello Lovers box or black satin pouch. Follow us on Instagram to see all the fun in the studio and new styles as they are released. Hello lovers Australia are proud to design some of the prettiest long lace dresses. All care taken to ensure that the gown compliments a brides best features. Using only the best bridal laces for their wedding dress designs.